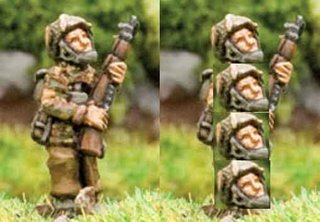 Much discussion on The Miniatures Page (TMP) as to whether or nor the new Battlefront Miniatures’ paratroop figures are as distorted as I claim. 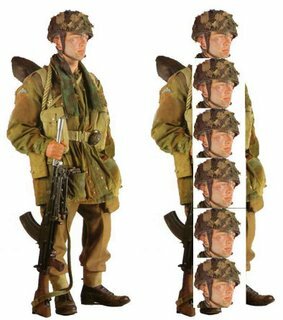 Someone questions whether its the result of British Paratroop helmets being really big in real life. Well here’s my answer. They are big, but they’re not that big. 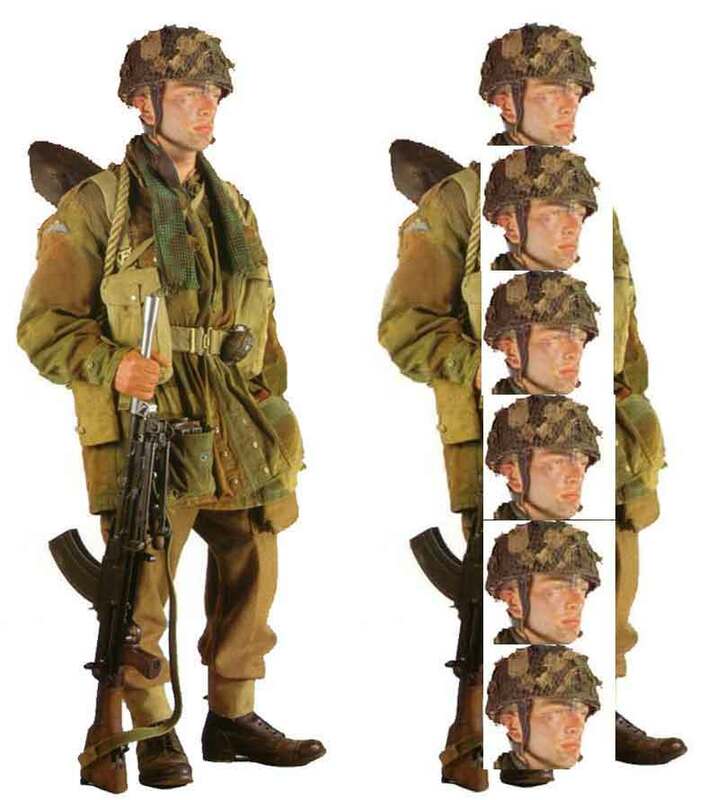 A reenactor dressed in British Paratrooper uniform. Note he is just over six helmetted heads tall. Here’s his Battlefront counterpart. Four heads tall. Live with it folks, their heads are massively oversized. Some people have said that the new Panzergrenadiers are less distorted than than the paratroopers but that’s just not true. Take a look below, that Panzergrenadieron the left is under 3.5 helmetted heads high. The one on the right isn’t quite as bad, he’s four helmetted heads high. 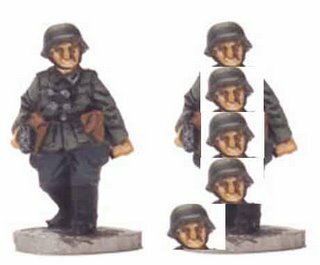 For comparison here’s an older style German from Battlefront nearer five heads tall than four (4 2/3rds) and looking a lot better to me. And just for a laugh here’s something I knocked up in Photoshop last week. Not the best Photoshop job in the world, but I had fun doing it. The guy on the right is four and a half heads high. 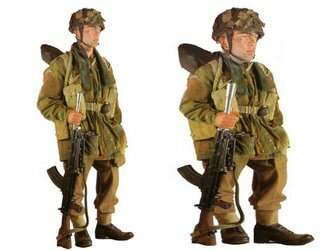 His head size is less distorted than the Battlefront models.